Silvia Chiusano is Associate Professor at Politecnico di Torino (Torino, Italy) since November 2014. She received her PhD in Computer Engineering from Politecnico di Torino in 2000 and the MSc degree (110/110 with honors) in Computer Engineering in 1996 from the same University. At Politecnico di Torino, she has worked at the Department of Control and Computer Engineering (DAUIN) from 1997 to 2017, and she works at Interuniversity Department of Regional and Urban Studies and Planning (DIST) from 2018. Novel and efficient data mining algorithms. Scalable algorithms for association rule extraction and cluster analysis; Disk-based data mining algorithms; New associative classifiers using compact rule set representations. Mining Urban Data. Novel solutions to mine huge collections of heterogeneous data describing the urban domain, focusing on data integration strategies, alternative data representations (i.e., NOSQL databases as MongoBD), devising ad hoc data analytics solutions also deployed with distributed processing technologies (e.g., MapReduce, Spark). Different application scenarios have been considered as urban mobility, air pollution, urban safety, building energy consumption, social networks. She is member of the SmartData center at the Politecnico di Torino, focusing on Big Data technologies and Data Science approaches. Dr. Chiusano is Associate Editor of Computing Journal and Guest Co-Editor of two forthcoming Special Issues on Information Systems Frontiers Journal (Springer) and Computing Journal (Springer). Dr. Chiusano was co-chair of the workshop track of the 22nd European Conference on Advances in Databases and Information Systems (ADBIS 2018). She organized three editions of a workshop on data analytics (DARLI-AP) co-located with the IEEE International Conference on Smart Data (DARLI-AP@SmartData 2017) and the EDBT/ICDT Joint Conference (DARLI-AP@EDBT/ICDT 2018 and DARLI-AP@EDBT/ICDT 2019). She also organized a special session on big data analytics (BiDaTA@ADBIS 2013) and a workshop on data science (DaS@ADBIS 2017) both within the European Conference on Advances in Databases and Information Systems (ADBIS). She has been member of the local organization committee of the international conference on Information and Knowledge Management CIKM 2018. She has been reviewer of papers submitted to International journals, among which Expert Systems With Applications (Elsevier), Big Data Research (Elsevier), Information Sciences (Elsevier), Energy and Buildings (Elsevier), Engineering Science and Technology: an International Journal (Elsevier), Applied Computing and Informatics (Elsevier), IEEE Transactions on Knowledge and Data Engineering (IEEE Computer Society), IEEE Systems Journal (IEEE Computer Society), Machine Learning (Springer), Journal of Ambient Intelligence and Humanized Computing (Springer). Silvia has served on the program committees of several international conferences and workshops in the data mining research area, among which European Conference on Machine Learning and Principles and Practice of Knowledge Discovery in Databases (ECML-PKDD), Pacific-Asia Conference on Knowledge Discovery and Data Mining (PAKDD), IEEE International Conference on Data Mining (ICDM), IEEE International Symposium on Big Data Management and Analytics (BIDMA), IEEE International Conference on Information Reuse and Integration (IRI). 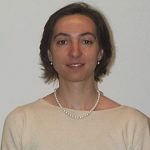 Silvia has been tenured professor for about 30 courses on database systems, database systems technology, data warehousing and data mining in BSc, MSc and PhD degrees at the Politecnico di Torino since 2004. She has supervised 4 PhD students in Computer Engineering and she has supervised the thesis activity of over 50 MSc graduating students. She also served in various institutional activities at Politecnico di Torino as elected member of the Academic Senate, Head of the Educational Board for the Department of Control and Computer Engineering (DAUIN), elected member of the DAUIN Department Board, and Vice-Coordinator for the degree program in Cinema and Media Engineering.